Regardless of the country in which you were raised, you are likely familiar with some type of educational testing—like the ACT or TOEFL. In certain countries, students take several day-long exams in order to graduate or to move forward to the next year. These types of assessments are similar to the final examinations you will take at an American school in that they are both an evaluation of what you have learned and how well you have learned it. 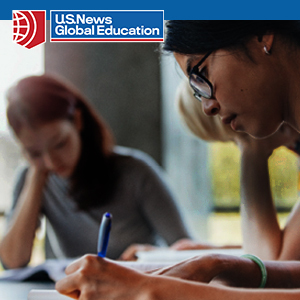 While you may have some experience with academic testing in your home country, the format, length, and expectations of American final exams will likely be new to you. For instance, unlike the assessments you may have taken in the past, your semester finals will generally be given during a single class period. For more information on American university finals, continue reading below. As previously stated, the purpose of a final examination is to evaluate how well you have absorbed and understood the materials—and their interconnections—in a given course. For example, if you were to enroll in a class on English literature, it is reasonable to expect a final exam that discusses the authors, pieces, and themes that you have explored during the course. Each class will have its own final examination (assuming the professor opts to administer one). It is important to note that all universities are different. As such, they may employ different formats for their final exams. For instance, the final examination for a course in modern American history may be a single essay or 100 multiple-choice questions. A class in organic chemistry may culminate in the presentation of results for an experiment that you have conducted throughout the semester. The format of a final exam is often dictated by the school, the professor, or, in rare cases, by the students. Whatever the format, your instructor should inform you in advance about what to expect and how best to prepare for this assessment. If he or she does not, ask. Given that you will be tested on your comprehension of the course and its content, you can expect final exams to be an hour or more in length, as well as important to your overall grade in the class. The degree to which your exam score will affect your course GPA will, again, depend on the professor and/or the university. Your score on a final examination may count for as much as 25 or 50 percent of your total grade. If you have been doing well all semester, this may not be a concern. If, on the other hand, you have been struggling or averaging a low B or C grade, your final exam could have a significant influence on your class GPA. If you do well, it could dramatically improve your final grade, but if you do poorly, it could drag your grade down even further. Because final examinations are intended to measure your familiarity with class material, studying for one might be easier than you think. After all, you should already have the aids you need, like articles and books, and you have already discussed the content at least once during the semester. The best way to start studying for your final exam is to know exactly what it is you are studying for. Once you know the format of the assessment, where it will be given, and what is expected of you, you can form a plan. 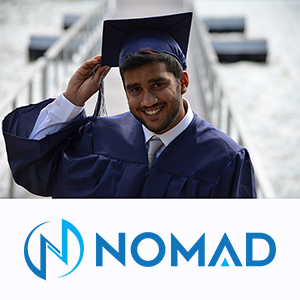 Gather all your notes and previous assignments. These are items that you or your professor felt were important at one point during the semester, so there is a strong chance that they will also be important for your final examination. You can likewise review content according to the course syllabus. This document indicates what the professor intended for you to learn, which suggests it could arise on your final exam.